A couple of weeks ago I had the honor of being interviewed on AFN (Armed Forces Network) here in Stuttgart, Germany. 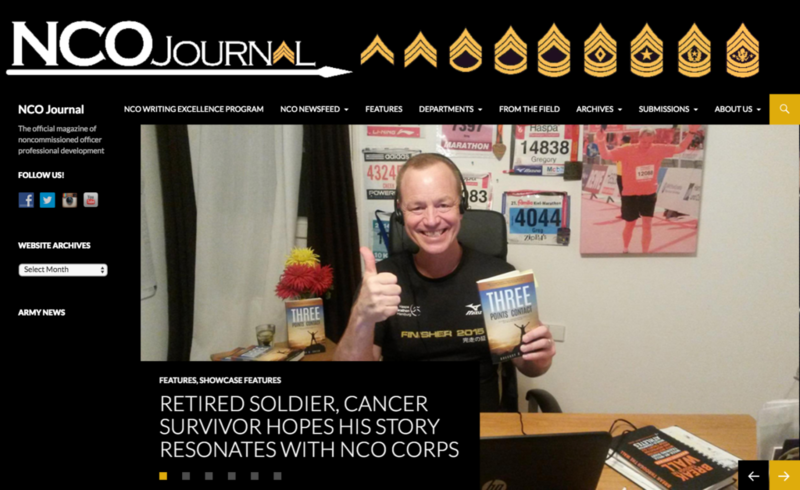 It was a great opportunity to talk about my experience with cancer and how Master Resiliency Training prepared me for the rough patches along the way. A special thanks to SSG Jelle, SGT Calhoun, Douglas Smith, Stefanie Pidgeon and the rest of the AFN Stuttgart team for making this happen and for putting together such a great video.